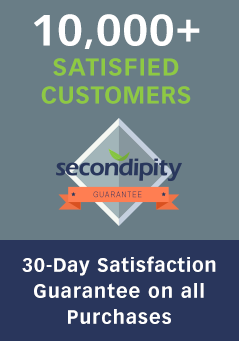 At Secondipity, we believe in giving back to the community. That is why a portion of every purchase you make goes to support classrooms in need. We partner with DonorsChoose.Org to help provide children in deserving schools the tools and experiences to enhance their education. Check out the Secondipity Giving Page to see your dollars at work in helping classrooms across the United States. The first recipient was Ms. Mansell's classroom at Payne Elementary in Washington, D.C. (like Secondipity HQ). Secondipity hopes the color printer and printing supplies will help provide engaging visual aids to enhance the education and learning opportunities for Ms. Mansell's Pre-K to 2nd Grade Students. Ms. Taylor's classroom in the Bronx, NY was another campaign Secondipity supported this month. We hope the two Chromebooks funded through this campaign will make a difference this school year for Ms. Taylor's Pre-K to 2nd Grade students in their math and reading centers. Ms. Grussmark's 9th-12th grade students in Homestead Senior High School in Homestead, FL were also in need of Chromebooks to enhance their education through engaging with technology of the 21st century. Secondipity wanted to support these hardworking students with the technology needed for their projects and for developing transferable skills for the workforce. We hope these donations helped to make a difference for the students! Do you have a recommendation for our next DonorChoose.org donation recipient? Send us a Tweet or Post on our Facebook with the hashtag #SecondipityGivesBack and check back to see our next recipients in November!